Bambi has always loved to dance and felt compelled to move when she heard music. In 2003 she stumbled upon bellydance at an SCA event. After seeing the dancers around the fire at that first event she searched out classes in Baton Rouge. She began taking classes with Shamsi and Noura at Bayou Shimmy and with various teachers as she traveled. Her first classes were caberet style, then she found tribal and knew it was where she was mean to be. 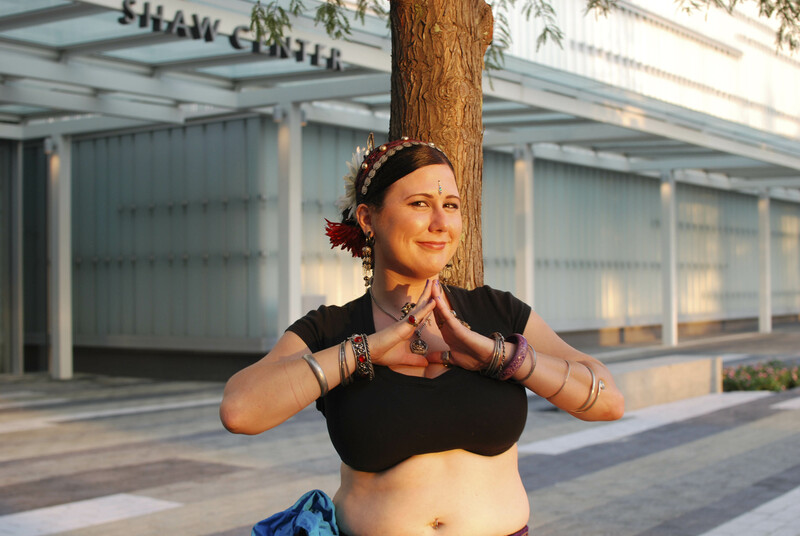 Since 2007 she has been focused on studying ATS® and tribal fusion styles. Bambi enjoys the empowerment of dancing with a supportive community of women. She also is amazed at the body positive image bellydance encourages. Bambi has studied with local and internationally known teachers. She strives to continue her dance education by taking traveling to all the workshops and festivals she can. Bambi is the director of Valkyrie Rouge Tribal and a FatChanceBellyDance® Sister Studio. Raised deep in the Louisiana swamps, friends joke that Jeanine always seems to have a song for everything. Music has been such an important part of Jeanine’s life and has led to her falling in love with dance. After a friend recommended that bellydance would help with her hoop dance, she signed up for first bellydance class in April 2010. She quickly fell in love with dancing. Then one fateful night while hula hooping on a bed of nails with a local fire troupe she met Bambi and discovered American Tribal Style®. She instantly knew she had found her niche within this earthy and strong style of dance. Jeanine began taking her first ATS® class that November. When Valkyrie Rouge was founded almost a year later, she became the troupe’s techie member since she plays an IT technician in real life. When not dancing with her troupe she can be found traveling to music festivals and shows all over the South. 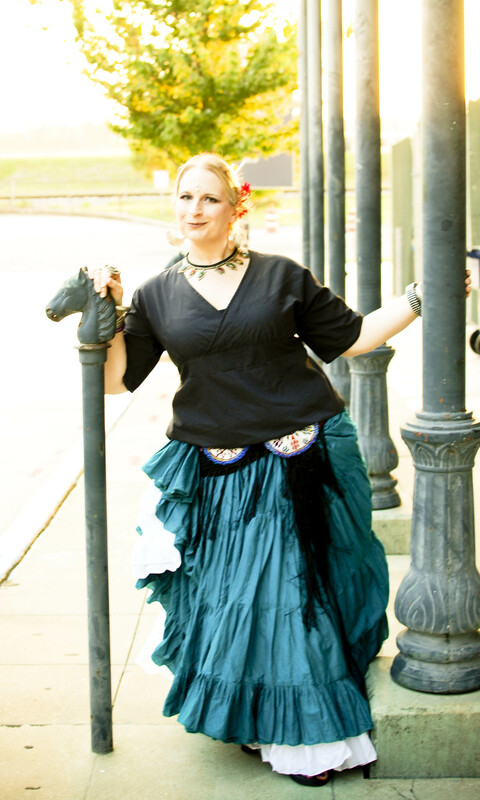 Jeanine continues to evolve her style, both within Valkyrie Rouge and individually, her theory being “You’re not really living if you aren’t trying something new” Jeanine is the co-director of Valkyrie Rouge and a FatChanceBellyDance® Sister Studio.